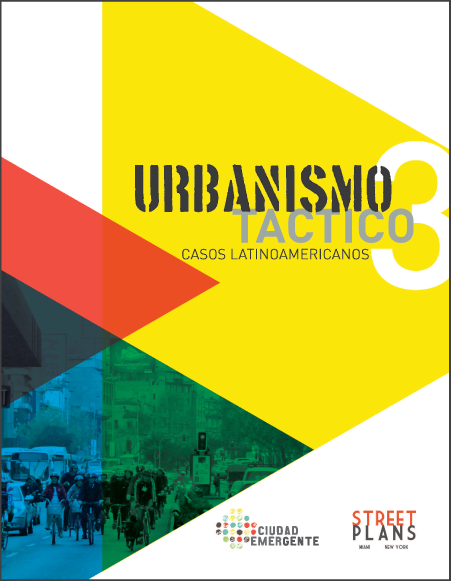 The Street Plans Collaborative with Ciudad Emergente released the third volume of the Tactical Urbanism open-source guide in 2013. This volume underscores the importance of Tactical Urbanism in the Latin American context. Drawing from a selection of examples from the previous volumes, it highlights the challenges the movement face in terms of participation, governance, and equity. It also provides insight on the next steps for Tactical Urbanism in informal and formal economies. Adding to a growing list of surveyed tactical urbanism intervention, Volume 3 comprise of additional case studies from Latin America ranging from Ciclovias Recreativas to Limpieza de Basurales.